Sewell Group to host commercial property seminar. 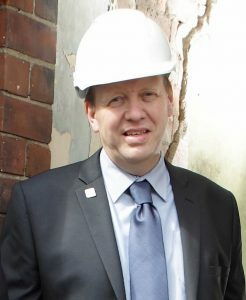 Simon Delaney, Chair of the RICS Hull and East Yorkshire Local Association. The Sewell Group is hosting a property seminar for the Royal Institute of Chartered Surveyors (RICS) Hull and East Yorkshire Local Association. It will focus on Capital Allowances for commercial property, on Tuesday 4 December. Anyone working within the property and construction sector, or property owners are invited to learn about Capital allowances, the legitimate form of tax relief relevant to virtually every business and investors in commercial property. Stuart Rivers is a leading firm of capital allowance consultants based in Harrogate, covering the whole of the UK and Europe. They work closely with chartered surveyors, accountants, tax advisers, solicitors, investors, developers and others to maximise capital allowances tax savings. Ticket price includes a light breakfast and refreshments and places are limited so booking is essential. Be the first to comment on "Sewell Group to host commercial property seminar."